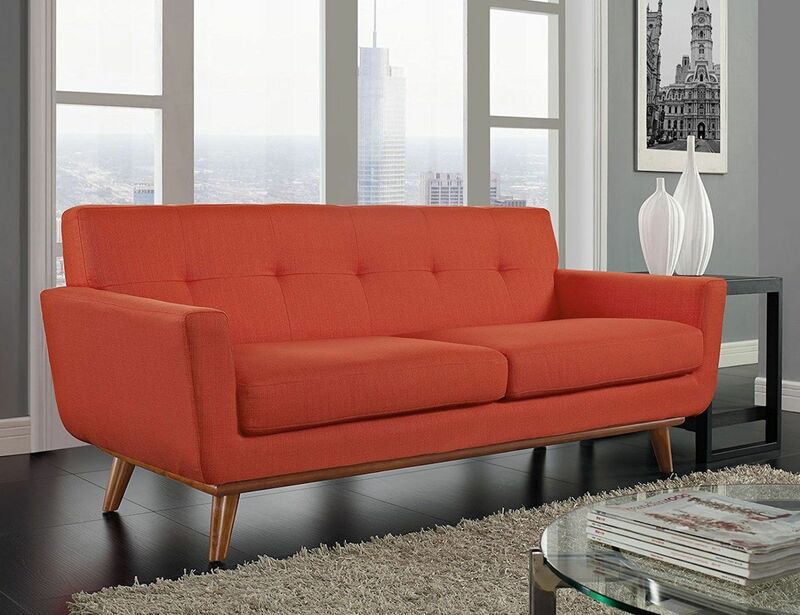 Upgrade your interiors with the Modway Engage Upholstered Loveseat Sofa. 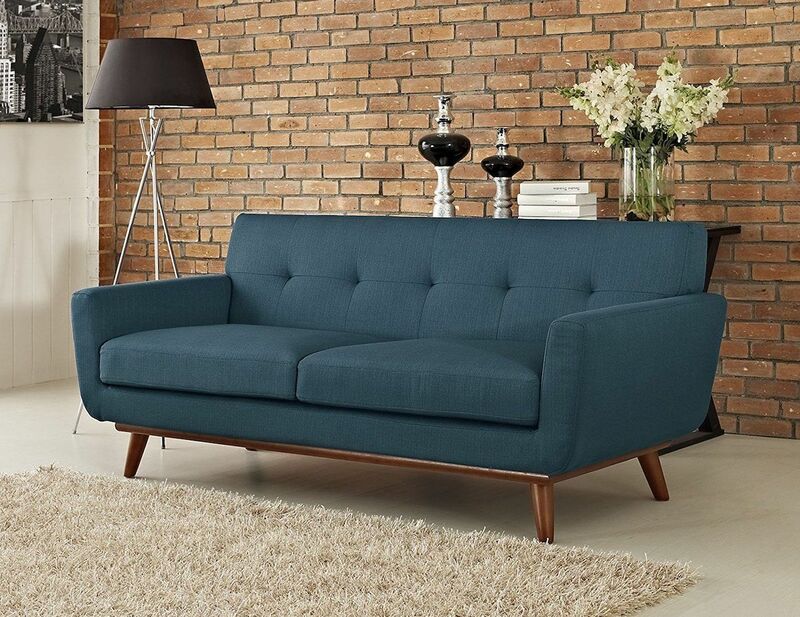 This couch gives a modern take to some classic mid-century style. 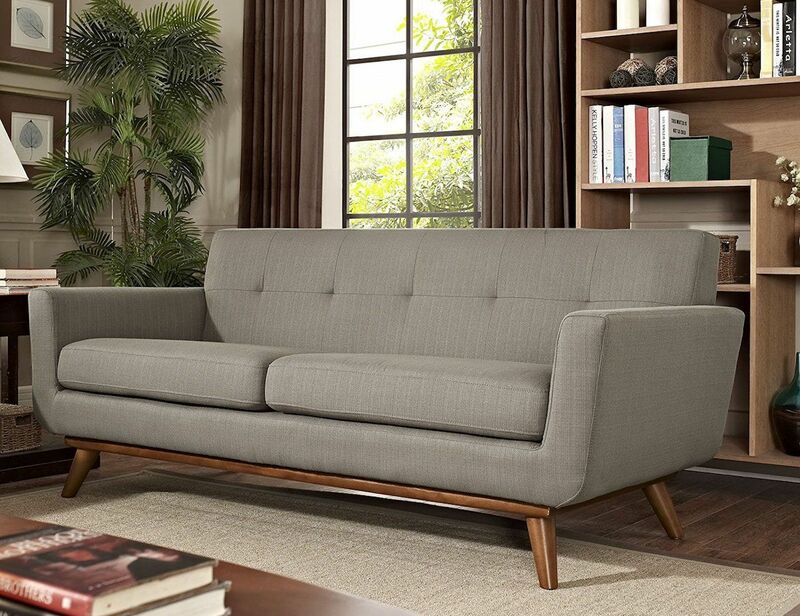 Upgrade your interiors with the Modway Engage Upholstered Loveseat Sofa. 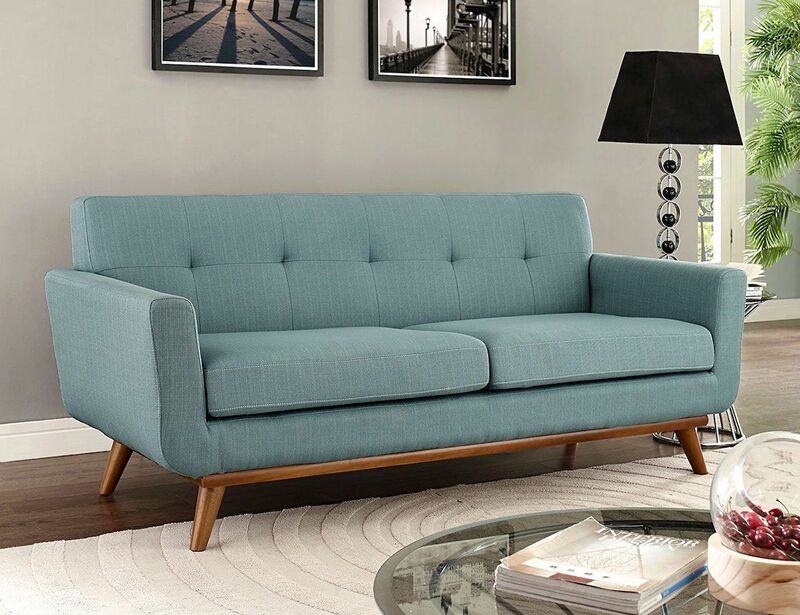 This stunning couch gives a modern take to some classic mid-century style. The two-seater has two ultra-plush cushions that measure six inches each. 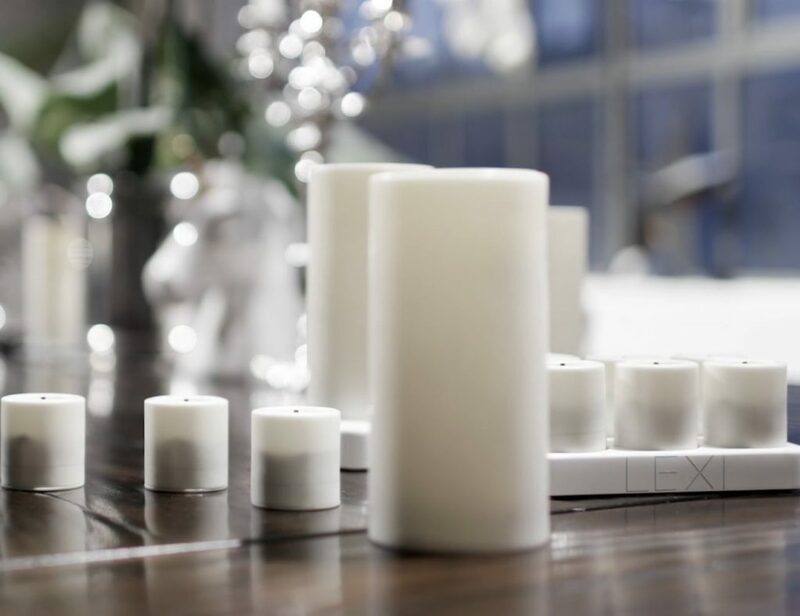 In addition, the back offers even more aesthetic appeal in any setting. 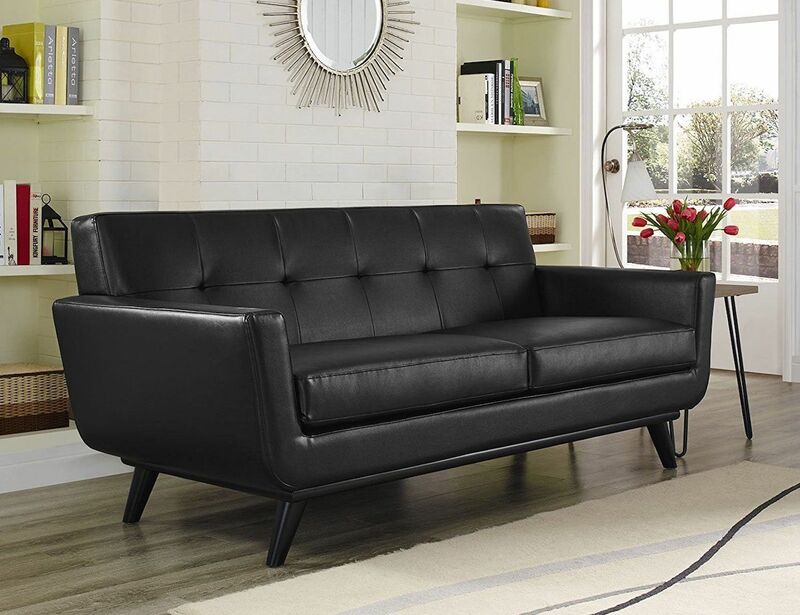 The Engage Loveseat is a charming addition to any space. It comes in 13 different colors to match any interior. 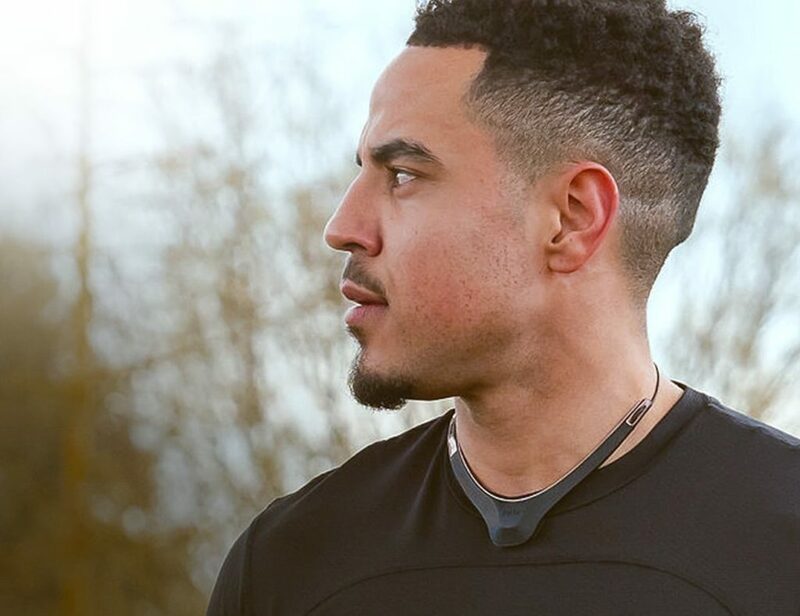 The ultra soft polyester material offers a comfy place to rest at any time of day. 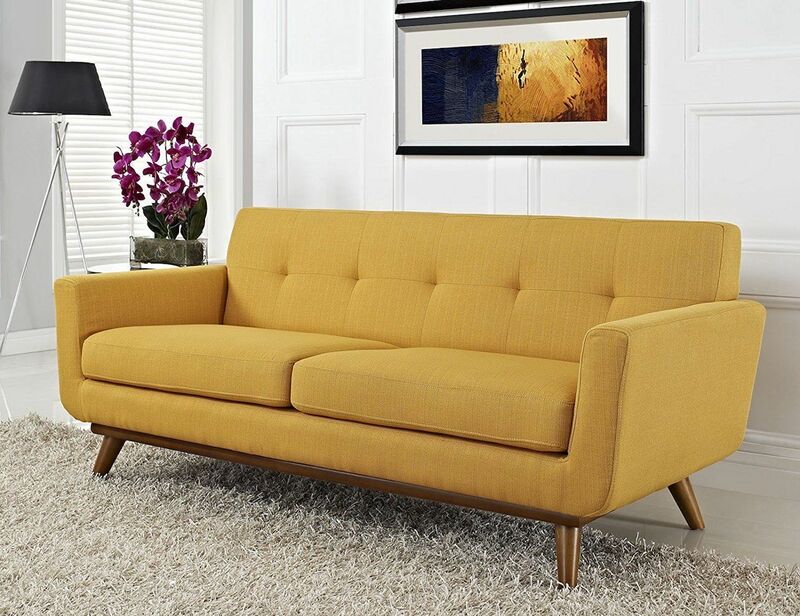 With a weight capacity of 440 lbs., this couch elevates off the floor in the most perfect mid-century style. 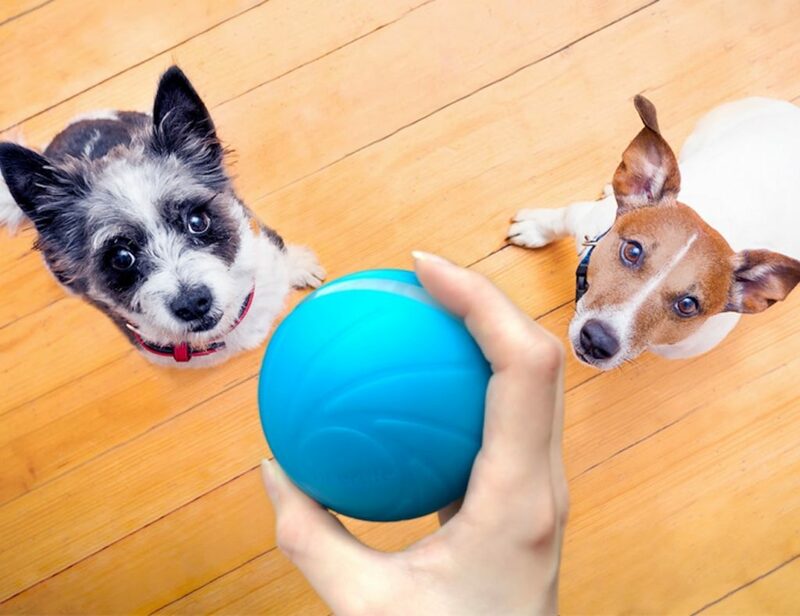 The frame and four legs feature beautiful cherry color rubber wood. The legs are also complete with white plastic glides for easy moving.